When it comes to finding an inexpensive fish, there’s not always a lot of good options. 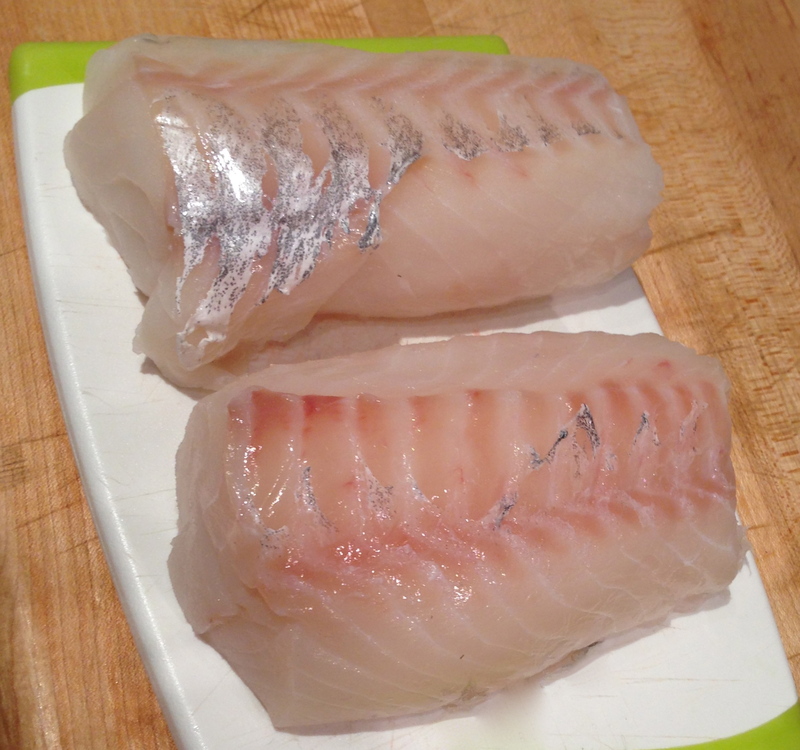 Basa and tilapia tend to be widely available and cheap, but they can be almost entirely devoid of taste. Catfish, although reasonable, can be off-putting. Preparations generally are limited to frying or cajun-style to mask any dirt-like taste. For a reasonably-priced, mild yet tasty fish, many opted instead for the versatile and flavorful salmon. But that’s changed. You can pay upwards of $12/lb for farm-raised salmon- and the color is added! Organic salmon can be well over $20/lb. I’m not sure if this is a result of the popularity, but it doesn’t seem to be a sustainability issue since the supply seems endless. But in a strange turn of events, cod is making a resurgence. Turn-of-the-century overfishing resulted in a shortage in the market and high prices. But conditions have changed, now it’s everywhere. And this is locally caught (not frozen) and on sale — it’s even cheaper than salmon used to be! A one day sale at Whole Foods recently had it for $5.99/lb!! Tip: always make sure to smell fish before buying to confirm freshness. An odor = trouble. With this being on sale so often, obviously I had to try a few healthy cooking techniques. (Sorry, none of them involved the ever-popular deep frying for fish & chips.) To compare, I kept the basic preparations similar: fresh lemon, oil, salt, pepper, herbs and ginger. First, I pan-fried it. About 4 minutes on each side (these are thick pieces- have your fish monger cut off the filet on the thickest part) in some butter. This was the only cooking preparation that had butter. So it was quite delicious. But not an obvious winner. And twice I sous vide it (needed to experiment on the temp of the water bath). Settled on 48 degrees celsius for 25 minutes. But still working on whether to brine ahead of time and how to get a nice sear. Despite the presentation, it was the preferred cooking method. 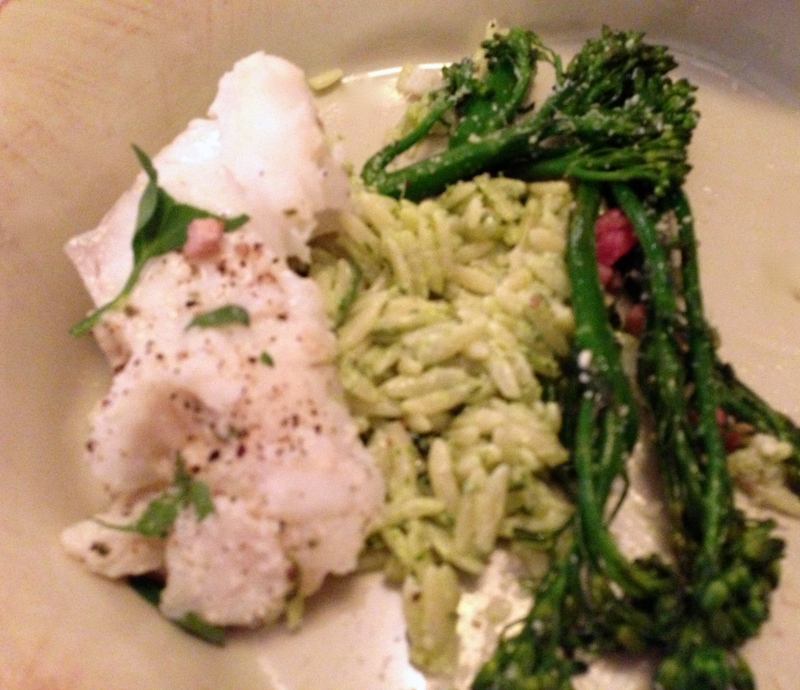 The fish was moist and flavorful– almost buttery even though there was no butter on it. Pesto was the only condiment for each — basil, ramp or mint (had some extra ingredients to use up). And everything was simple, quick, healthy and delicious. Perfect for any night. For a complete meal, serve it with a lovely salad and a veggie- asparagus or broccolini work great. Use whatever preparation is easiest- steamed, roasted or grilled. Or for you carb lovers, consider an orzo tossed with a pesto, goat cheese and some sour cream. Whatever works for you. Once you’ve tried some of the cooking preparations. let me know which one you think is best. To drink: Try a dry Riesling- one from the Finger Lakes if you have that as an option – or Morimoto Soba Ale. For a cocktail, consider your sides — a lemon-infused drink would be lovely and not overpowering. You don’t want to take away from the taste of the fish. Unless you can smell the fish, and in that case, you should throw it out and drink enough to kill whatever parasite you might have ingested. yummy! Love the pesto combination. 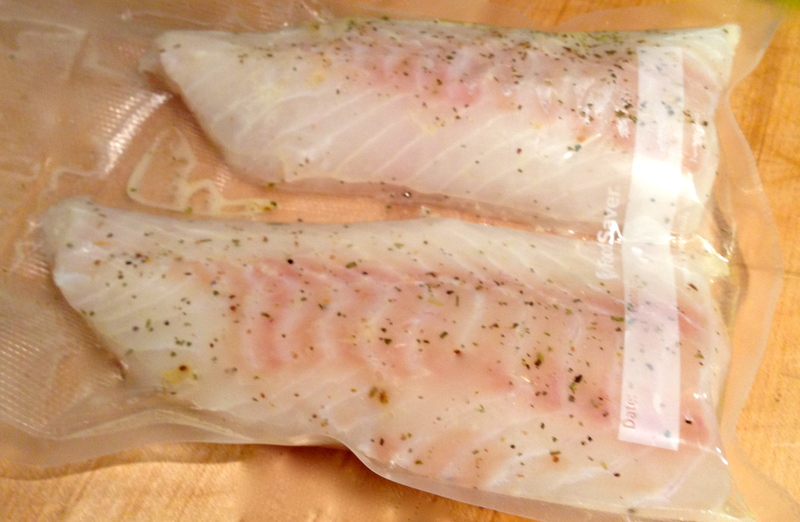 Great to find another blogger writing about sous-vide! 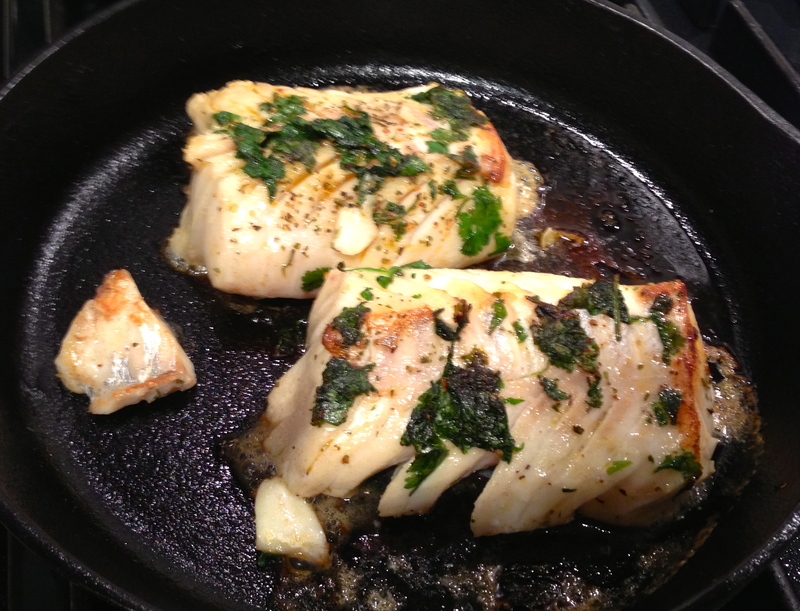 I find cod sous-vide to have great flavor and texture, but hard to sear as it flakes so much. I’ve had better luck with other types of fish, especially sea bass. Thanks! Will have to try it. Too bad sea bass is never on sale. The same also works for sea bream.